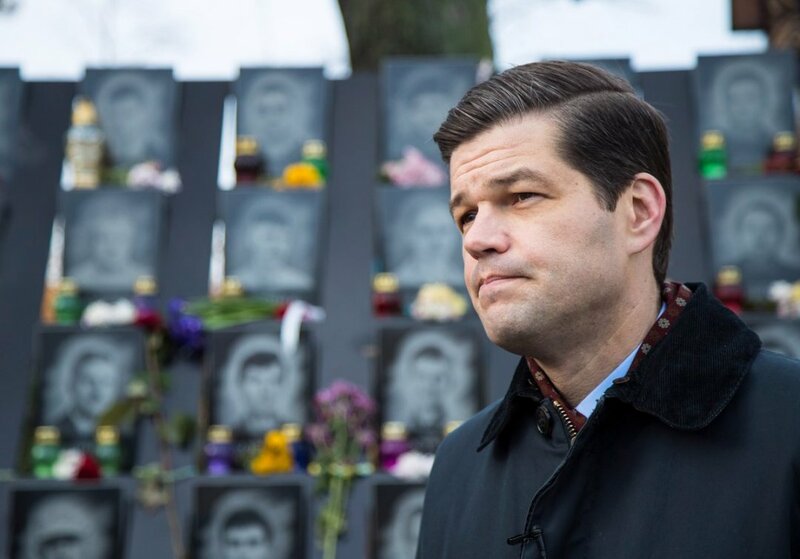 U.S. Assistant Secretary of State Wess Mitchell has arrived in Ukraine to emphasize the U.S. commitment to the country's European choice and the ideals of Maidan. 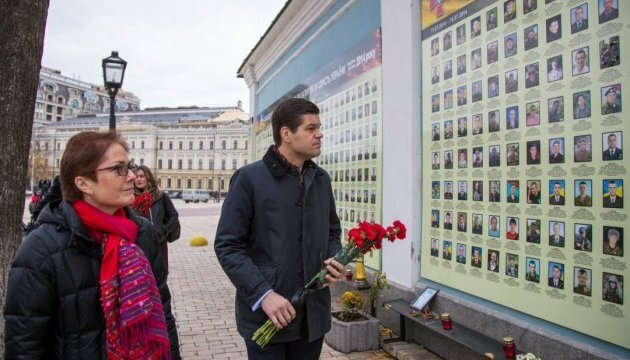 The U.S. Embassy in Ukraine reported this on Twitter, posting a photo of Mitchell laying flowers at the Wall of Memory of St. Michael's Golden-Domed Monastery in Kyiv. 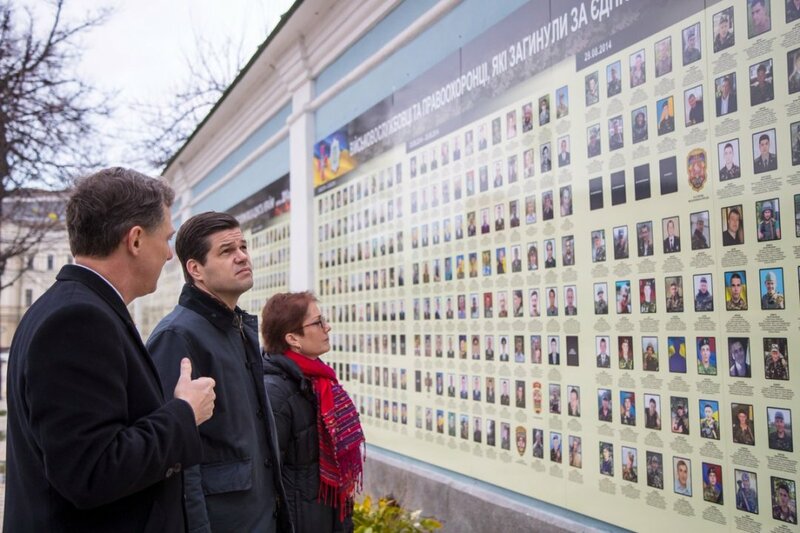 "The faces on this wall are a poignant reminder of the sacrifice Ukrainians have paid and the cause that these men and women died for. 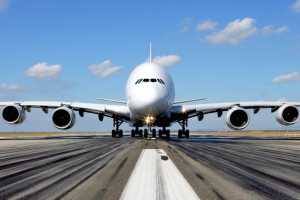 My trip is to underscore America's continuing commitment to that same cause," the embassy's press service reported. Mitchell also honored the memory of the dead fighters for Ukraine at the Alley Named After the Heroes of Heavenly Hundred. "More than 100 people died on this street for a very clear purpose- to ensure that Ukraine has the ability to determine its own future. 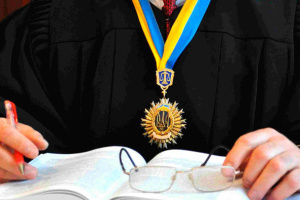 I want to underscore the enduring U.S. commitment to the ideas of Maidan," Mitchell said. As reported, Mitchell visits a number of European states from November 6 to November 16. 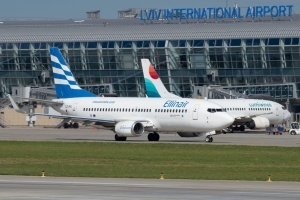 He arrived in Ukraine on November 14.